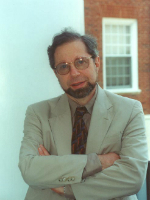 Thomas S. (Tom) Wallsten is a professor of psychology at the University of Maryland-College Park and affiliated with both the campus’s Center for Advanced Study of Language and the Program in Neuroscience and Cognitive Science. His research focuses primarily on topics in behavioral decision theory, including judgment, analysis, choice, probabilistic inference, risk assessment and risk communication. Working closely with students and colleagues, three features characterize Tom’s research. One is the consistent aim to explicate the cognitive processes underlying judgment, choice and communication. The second is the integration of empirical data collection with the development and evaluation of formal models that have clear and testable consequences. The third is a close interplay between basic and applied research. His basic research is never far from applications and conversely his applied work hews closely to what is known from basic theory. He has edited one book and published over 100 articles and chapters primarily in the areas of probabilistic inference, judgment, choice, and communication under risk and uncertainty. He has been fortunate to have many excellent students over the years, who have gone on to their own distinguished and productive careers. Tom was born in 1942 in Rochester, NY, of German Jewish immigrants who had arrived in the country four years earlier. Upon graduation from high school in Buffalo, NY, he went to the University of Wisconsin-Madison intending to major in applied mathematics and engineering physics. That plan progressed until courses with Cliff Morgan, Mike Posner and Maury Hershenson convinced him that psychology was where he belonged. Tom switched majors and did an honors thesis with Mike Posner. He continued on to graduate study at the University of Pennsylvania, receiving his Ph.D. in 1970. His education within the intellectually challenging and stimulating environment at Penn, and ultimately under the mentorship of Francis (Frank) Irwin, was both broad and deep. A postdoctoral fellowship followed at the University of Michigan, where he benefited from interactions with Ward Edwards, Dave Krantz and Clyde Coombs. Following 30 years on the faculty at the University of North Carolina-Chapel Hill, where he started the Cognitive Psychology Program within the Department of Psychology and the campus-wide interdisciplinary Cognitive Science Program, Tom moved to Maryland in 2000. He has held visiting appointments at The University of Chicago, Duke University, Haifa University in Israel, and Universität Oldenburg in Germany, the latter with the aid of a Humboldt Foundation Senior Scientist Award. He was an editor of the Journal of Mathematical Psychology, an associate editor of Psychometrika and of the Journal of Experimental Psychology: Learning, Memory, and Cognition and currently is on the editorial board of the Psychological Review. He has served both as a consultant to the U.S. Environmental Protection Agency and on its Science Advisory Board, as an associate of the National Intelligence Council, and in various advisory roles for the National Science Foundation, including as a member of the Measurement, Methodology and Statistics grant review panel and on Committees of Visitors for two different directorates. He is an elected fellow of the Society of Experimental Psychologists and the American Psychological Association, a charter fellow of the Association for Psychological Science, a past president of the Society for Judgment and Decision Making, and a past-president of the Federation of Behavioral, Psychological, and Cognitive Sciences (now known as FABBS). * The FABBS Foundation would like to thank Dr. David Budescu, Dr. Michael R. Dougherty, and Dr. Timothy J. Pleskac for nominating Dr. Wallsten for this honor and for leading the effort to spread the word about his nomination. Would you like to honor Dr. Wallsten? It’s not too late to have your name added to the list of donors! You can make your donation to Dr. Wallsten’s In Honor Of… campaign at anytime.